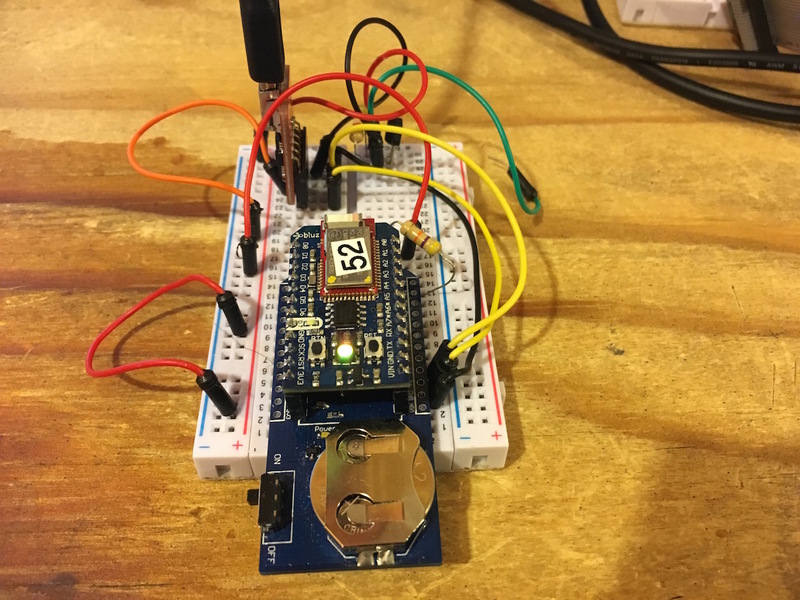 This tutorial will explain how to upload new firmware and keys through the bootloder. It will also go over resetting bluz to factory firmware. Performing a factory reset will reset the firmware to the default. This can be useful if bluz has been loaded with bad firmware or is otherwise not recoverable. This tutorial will cover how to enter setup mode, and how to perform a reset or upload keys or new code to bluz. The bootloader talks to a PC through UART, and since there is no USB connector on bluz, you will need a converter. You can see our tutorial on Talking Serial to Bluz for information on what hardware you will need and how to hook it up. The scripts are written in python and require version 2.7 to be installed. Release BTN. The RGB LED will stay on as solid yellow. Note that to update the firmware or keys, you should follow the instructions below. You can flash any module built portion of the bluz firmware, including system and user parts. The file must be a .bin file, and not a .hex or .elf file. These can be built locally from the firmware repository. Keys are used for encryption between bluz and the Particle cloud. There are two sets of keys, one for the cloud and one for bluz. Each set has a public and private key. There is a set for bluz, where bluz has the private key and the cloud has the public key. 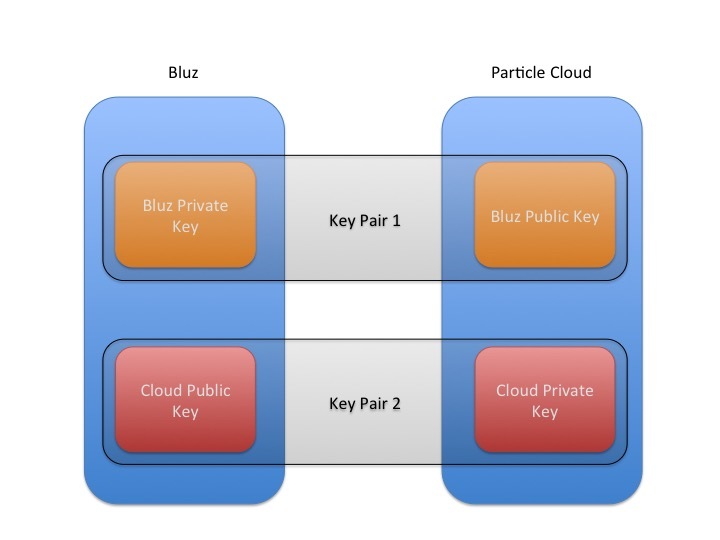 Similarly, the cloud has a set, and the cloud has a private key and bluz has the public key. As long as you are using the public Particle cloud, you do not need to update the public key in bluz. NOTE: You should only need to update the keys for bluz if you are changing from the public cloud to a separately hosted one. You should not need to update your keys unless you want to change the cloud you are connecting to. To update keys, you will need the Particle CLI installed. Every bluz board has a unique key pair associated with it. The key pair has a public and private key, the private key resides on bluz and the cloud must be updated with the public key. Updating these keys key means generating the key pair, flashing the private key to the bluz DK, and then sending the public key to the cloud. Three files will get create, device.der, device.pem and device.pub.pem. NOTE: You should not run these steps with the public key generated from the previous steps. This is not the correct key, you must get the public key associated with the instance of the Particle cloud.